Williamsburg location - 269 Lee ave.
Borough Park location - 4812 13th ave. The Computer Store was established in 2010 in Brooklyn, New York. Since opening we have expanded to 2 convenient locations: Williamsburg and Borough Park. 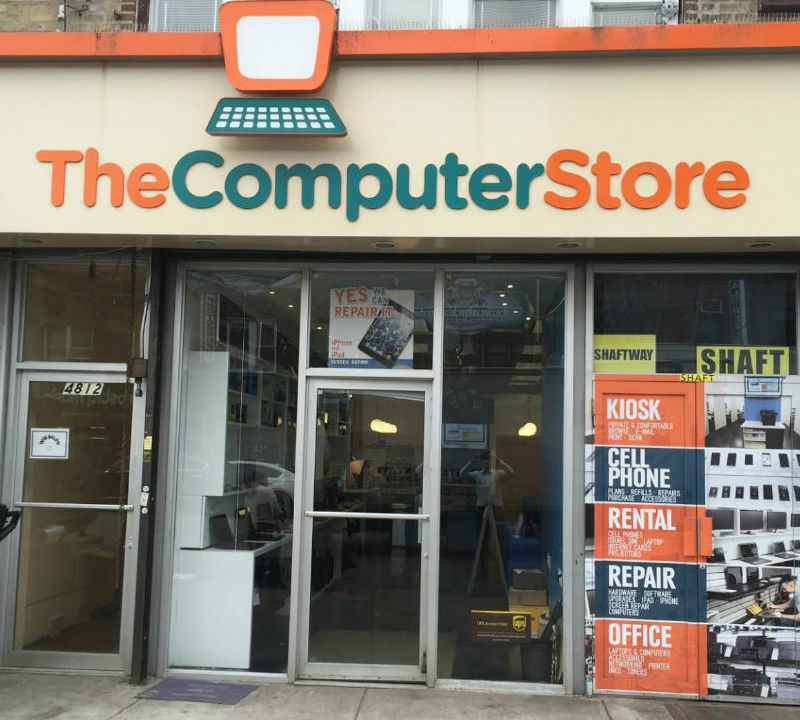 The Computer Store is Brooklyn’s number one destination for computers, smart phones, accessories, and repairs. Our locations also feature a business center with private, computer-equipped kiosks and printing services. Our business center is perfect for on-the-go professionals. Our main priority has always been customer satisfaction. Our friendly and knowledgable staff is committed to making every single customer feel happy and at ease knowing that they are making the right purchase. Our certified computer and phone technicians are trained to repair your device with the utmost quality and make it like new again. Our prices are competitive but we will never compromise on quality. The highest rated phone & computer repair shop in Brooklyn, NY!